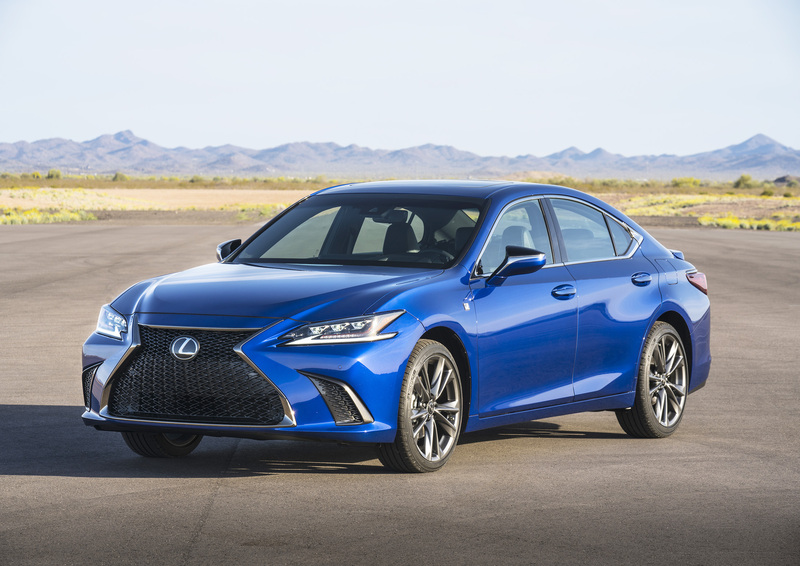 The 2019 version of Lexus’ pantry-staple executive sedan offers one surprise — its sleeker, bolder, and mildly polarizing design — while delivering more of what makes it perennially popular with buyers. When a new-generation car is introduced, manufacturers often take the opportunity to choose a new direction for it. That was the case with the car I drove last week — the 2019 Kia K900 — which made the startling shift from smooth boulevard cruiser to sharp-edged sports sedan. It’s also the path Toyota chose with the newest Camry, taking it in a thrilling visual direction and offering a more heart-rate-jolting feel from the driver’s seat on certain trim levels. The new ES, in contrast, charts a steady course. Yes, it looks quite different, with a lower, wider and longer shape that mimics the fresh Avalon platform upon which it’s based. For a traditionally conservative car from a traditionally conservative brand, at least, the dramatic iteration of Lexus’ spindle grille injects a serious dose of adrenaline. The Lexus ES gets a new design that keeps it true to its roots while adding a sleeker, more aggressive look than ever before. Beyond that, the new generation takes everything that was great about the old ES and cranks the volume knob to 11. Its ride remains smooth and silent, even more so than in the past. Its lower, wider stance improves the feel in corners, too, without sacrificing its trademark comfy highway experience. While the most driving enjoyment would come from the revised 3.5-liter, 302-horsepower V6 engine and eight-speed transmission on the ES 350, my tester was the slower but more practical hybrid flavor. Between its four-cylinder engine and two electric motors, the ES 300h makes a combined 215 horsepower while delivering 43 mpg in the city and 45 on the highway, according to government ratings. That’s both more powerful and more efficient than the 2018 model. It has the comforting, smooth feel of Toyota’s contemporary hybrid system, too. This hybrid drivetrain, which uses the gasoline engine and regenerative braking to recharge its battery, is one of the most transparent and refined on the market. The transition between low-speed electric power and higher-speed gasoline power is almost imperceptible. The interior is redesigned to add much of the driver-focused feel of its big brother, the LS. The driving position feels more natural than before, with a lower seating height and adjusted pedal and steering wheel angles that — for my average size, at least — fit like a glove. It also implements my one complaint about the LC and LS: the awkward touchpad interface near the center armrest. Much like laptop computers, the ES uses a sensitive touchpad that allows your finger to control functions on a digital screen. It doesn’t bother me when at a complete stop, but I never can seem to get comfortable using it while driving. This system, Remote Touch Interface, feels fussy and too sensitive while in motion, when every bump or turn makes your finger move. I prefer simple touchscreens but might one day get used to this Lexus interface, and perhaps even grow to love it, if given enough time. The ES joins two of Lexus top-tier models, the LS and LC, with the brand’s most driver-focused cabin. Dominated by a huge digital display, it’s meant to put all the important controls and information within convenient reach. Other than than the goofy touchpad, the cabin is a heavenly place to spend time. All the controls and information are instantly accessible for the driver, with an easy-to-use button and knob layout that other luxury cars would be wise to imitate. 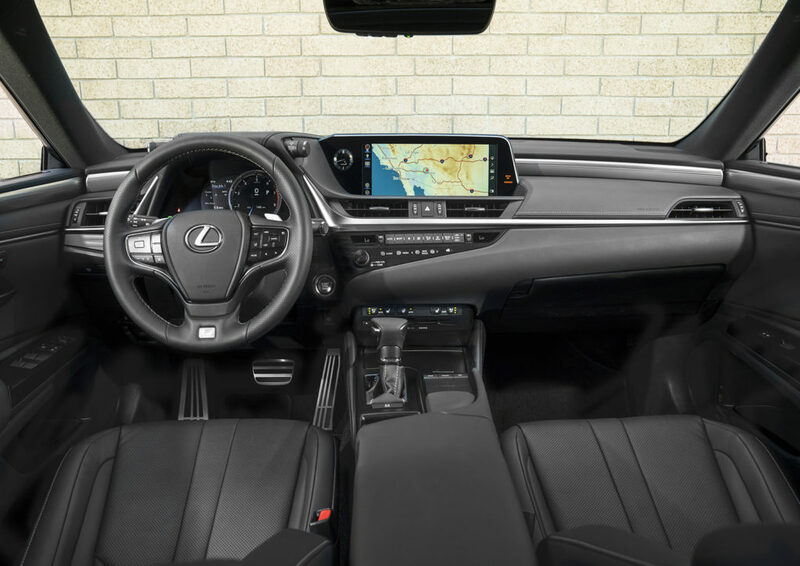 And in typical Lexus fashion, its materials and construction are top-notch, with that glorious combination of supple, smooth leather, rich wood trim and granite-like solidity. Lexus is also rolling out something new that seems to match its swept-back bodywork: an F SPORT package with a more aggressive look and feel. Pricing starts at $39,600 for the ES 350 or $41,410 for the hybrid ES 300h. It tops out at $45,060, before options, for the Ultra Luxury hybrid trim. The F SPORT version, with its head-turning styling and Adaptive Variable Suspension, is priced at $44,135. A new-generation design makes it catch the eye better than ever before without sacrificing its smooth, silent, practical, comfortable demeanor.